Colorado is currently under siege from multiple wildfires, covering land in almost every part of the state. While some have been burning for a while and are inching closer to being contained (High Park Fire in Fort Collins), others have just started (Flagstaff Fire in Boulder) or have taken a dramatic turn for the worst (Waldo Canyon Fire in Colorado Springs). “This is a firestorm of epic proportions,” said Colorado Springs Fire Chief Richard Brown. A friend of mine called me yesterday afternoon who lives in Monument and asked me if she needed to evacuate if she could come to our house. Of course I told her that she could and would be more than welcome whenever the need arose. But that phone call sparked in me an insatiable interest in the Waldo Canyon Fire that has been pervading my thoughts for over 24 hours now. 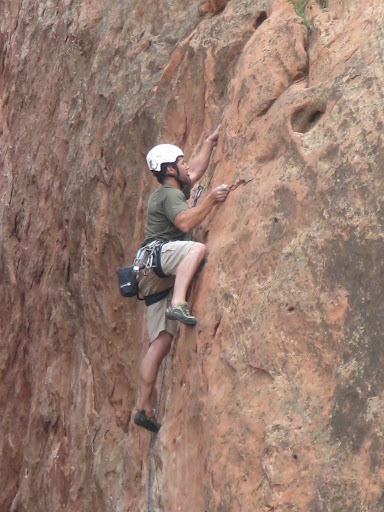 I began to follow #waldocanyonfire on Twitter and have been checking it non-stop. This was the best way to get up to the minute information from Colorado Springs officials and those who were living in the area. It’s been heartbreaking. But, this almost-obsession with following this fire has made me come to an epiphany of sorts. For the first time since we moved here almost two years ago, I feel like a Coloradan. I don’t feel like a displaced Californian. I feel a sense of ownership over this state and feel like the fiery assault is on my home. I’ll always be “from California” and I’ll most likely always call visiting there “going back home.” But for the first time since we’ve been here I feel like this state is mine. I told Stephen this in the car on the way to Chick-fil-a tonight, and he said “funny how it took a disaster to make that happen.” And he’s right, the timing is completely related. But, what I really think caused it was the fact that this disaster has destroyed or is threatening places that have meaning for me. This fire is putting into jeopardy places that hold fond memories for me and our relationship. And that’s what makes this different. This fire is messing with things that are mine. The Flying W Ranch has been burned to the ground. 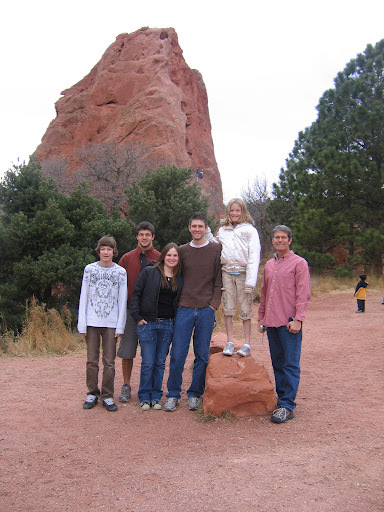 I first went to the Flying W in November of 2007 with the entire Rabon family. 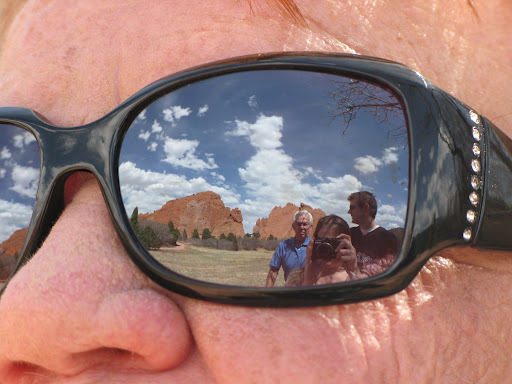 We had gone to see Garden of the Gods that afternoon and then went to the Flying W for dinner. This was also the night that our friend Josh proposed to his now wife, Liz. 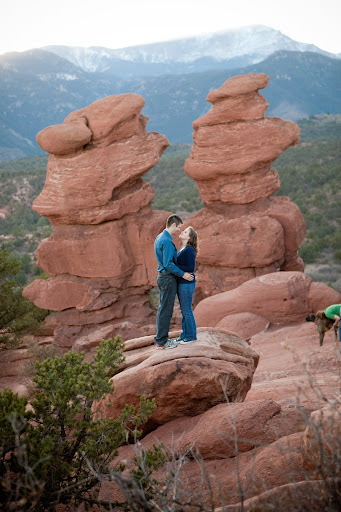 We were the “cover story” for why he was taking her to Colorado Springs to propose at the Broadmoor. We were supposedly meeting at a place down there for drinks. The food was delicious, the music and show were entertaining and the company was great. 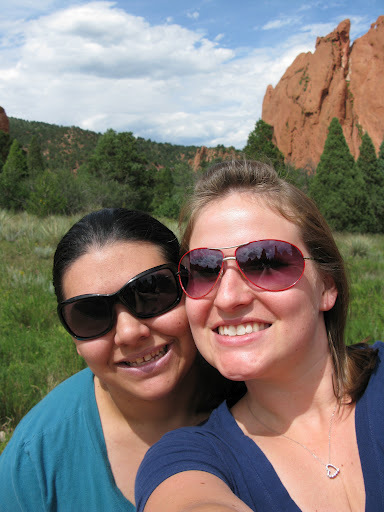 We hadn’t been together quite a year yet and this was one of the first few visits I made to Colorado to get to spend time with Stephen and his family. 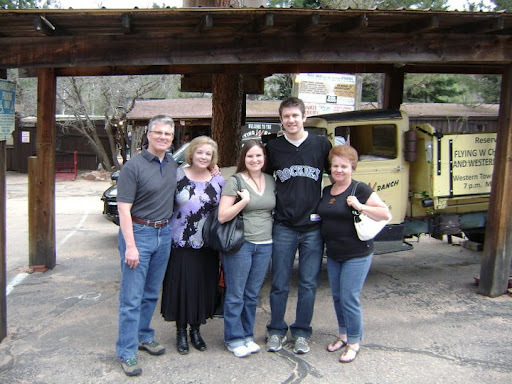 The next time that we went to the Flying W Ranch was in May 2011. My grandparents were out visiting us from California and they love country-western music, so we thought it was a perfect place to take them. We also met up with Kathleen, who was my aunt’s college roommate and has known my family for close to 30 years, and her husband Kip. My grandparents loved the food, the atmosphere and the company. Kathleen and Gram hadn’t seen each other in probably 20+ years and getting to see them reminisce about old times and catch up on their lives was wonderful. What a great night. Thankfully, we’ll always have the memories of these trips and some pictures, but the Flying W Ranch will be missed. 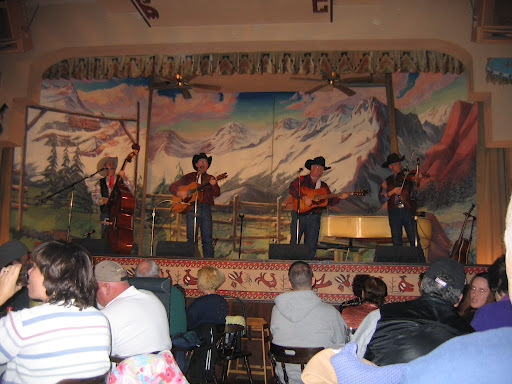 The cowboys who sing there, the food and the family associated with it will always be in my heart. They plan to rebuild according to the owner and PR people, but who knows how long that will take. God bless them as they deal with the loss of their livelihood and the dream they had so many years ago. I hope the Flying W gets rebuilt quickly and is as successful and well-loved as ever. The fire is also looming uncomfortably close to the Garden of the Gods. 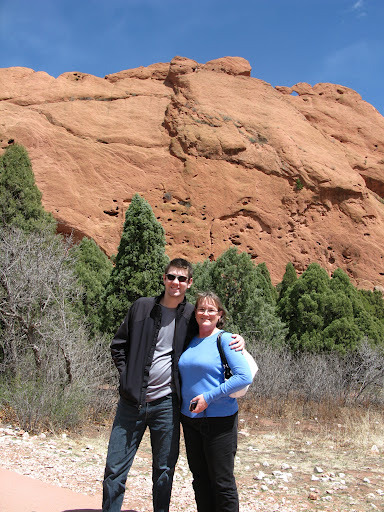 This is an amazingly beautiful area with giant red rock formations that I have been lucky enough to be able to enjoy with both sides of our family. So far, it’s safe, but the mere thought of something happening to it makes me go all mama bear and want to run down there with a bucket and hose and start fighting the fire myself. This area has been host to some amazing memories and I’d hate to see even one rock tarnished by this fire, though I’ve seen photos of the smoke and ash surrounding it. Can you believe how young Matt and Rebekah look in this photo? I love to see the beauty of this place. The fire has also come dangerously close to the Air Force Academy, which has been evacuated. If there’s one thing you don’t mess with in the eyes of this Air Force brat it’s the good people of the USAF. Patriotism and supporting our troops knows no bounds so that fire needs to step back. What a huge blessing that no one has been hurt. With the amazing quickness this fire has spread (estimates of 2,000 ft. per hour up to 20mph with winds), it is truly a miracle that no one has been hurt. Praise God for his provision in the worst circumstances! Colorado is not the only state on fire right now. Please continue to pray for those affected by the fires in Montana, Utah, New Mexico, Arizona, Alaska and Nevada, as well as any that I may have missed mentioning. We need to pray for those evacuated and displaced, for the emergency personnel responding (from all over the States– thank you for sending your finest to help in our time of need!) and those who have lost so much. Hundreds of homes have been lost and the livelihood of many is in danger. This state has become my home and I’m not ready to see it go up in flames. While there is still so much of Colorado I have yet to experience, the peril facing places that I hold dear is enough to make me feel like a Coloradan. 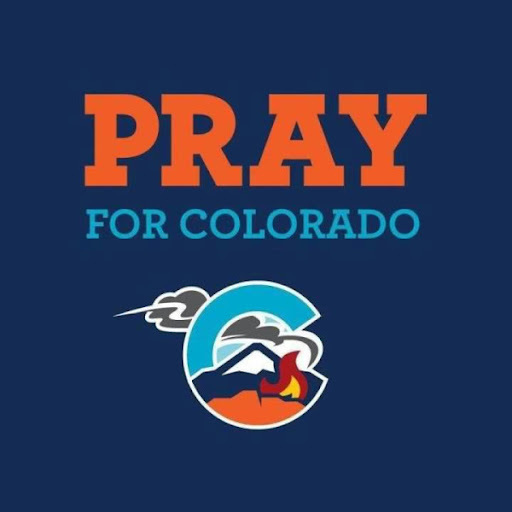 I’ve ordered a T-shirt from Wildfiretees.com to support the Colorado Red Cross and Care and Share. My first piece of Colorado paraphernalia (outside of Rockies or Avs gear). But I’m proud to call this state home and even more proud to stand in support and prayer for my fellow Coloradans. Who knew I’d ever get to this point. So, I’ve got three beds with clean sheets and ample couch space, ready for any evacuees I know who may need them. I pray that it does not come to that, but we’re ready to welcome them with open arms.